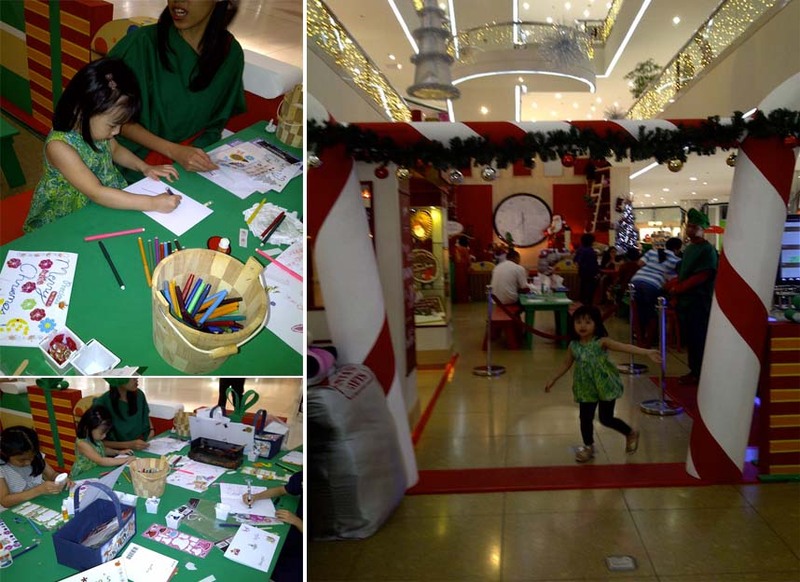 One Saturday, we had a chance to experience the Christmas activity at Podium. For purchases adding up to P2,500, you get a chance to participate in different activities such as card making, cupcake decorating, and xmas ball decorating. 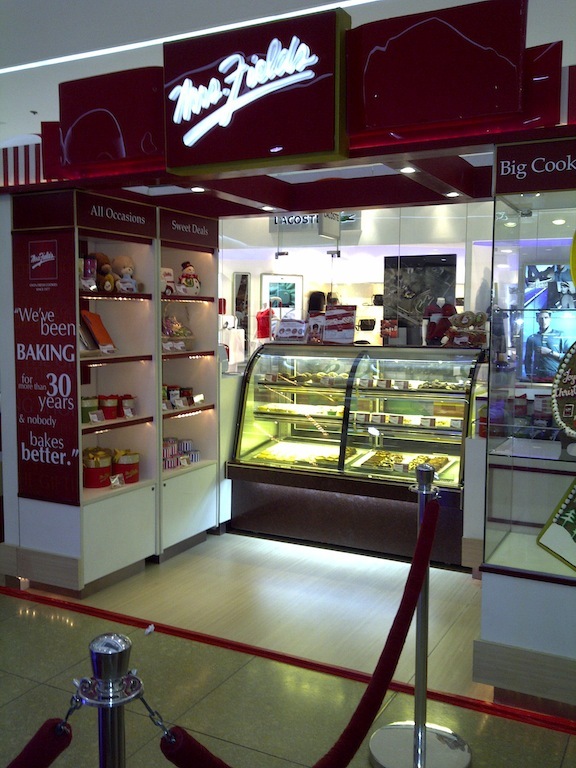 Mrs. Fields had a booth where you can purchase their products. They were the ones who sponsored the cupcake decorating. 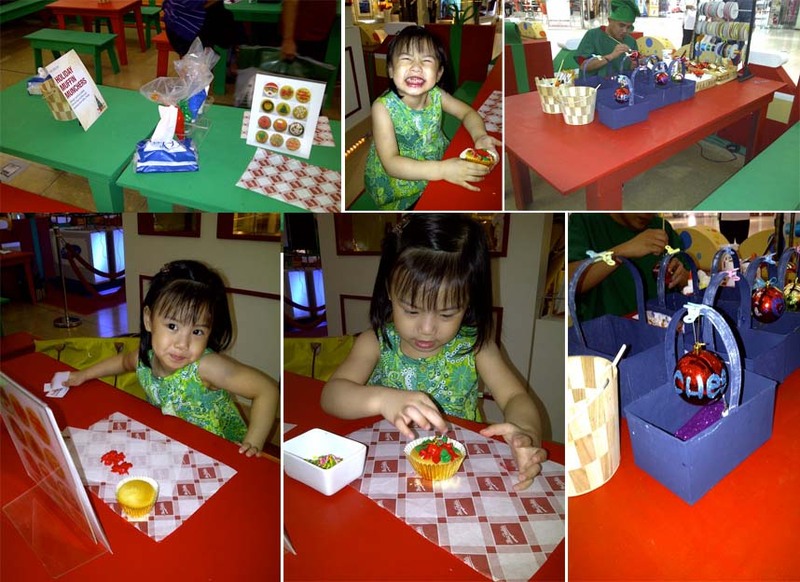 But of course, the cupcakes that were given weren't the normal ones they sell. 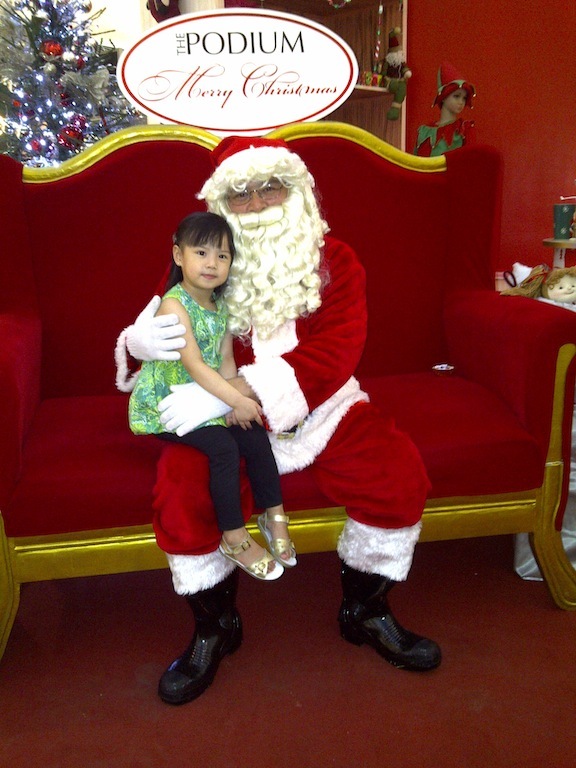 The best experience we had was picture with Santa. It was for FREE! and there was NO LINE! You can call Podium at 638-9781 for more information.